User Points block lets you display current or specific user points balance anywhere. 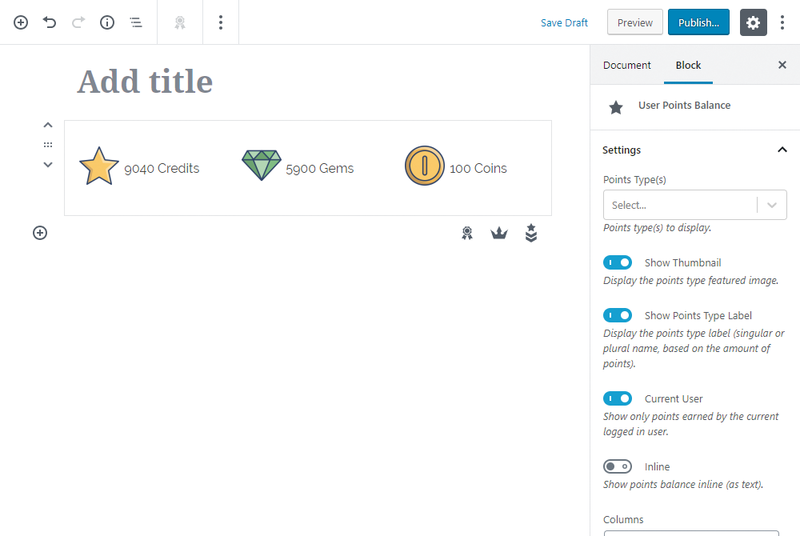 User Points block includes the ability to show the sum of all user’s points balances in your site (per type). The unique thing you need is don’t provide any user to the block. If you leave Current User field unchecked and leave User field empty then the points shown will be based on the sum of all user points balances. User Points block includes the ability to show the user’s points balance on a set of predefined periods. In addition, you have the ability to define custom time periods if you set the Period field to Custom. Check the date fields page for more information about formats supported on Period Start and Period End fields.